Today we are excited to announce the launch of NetGalley Advanced! 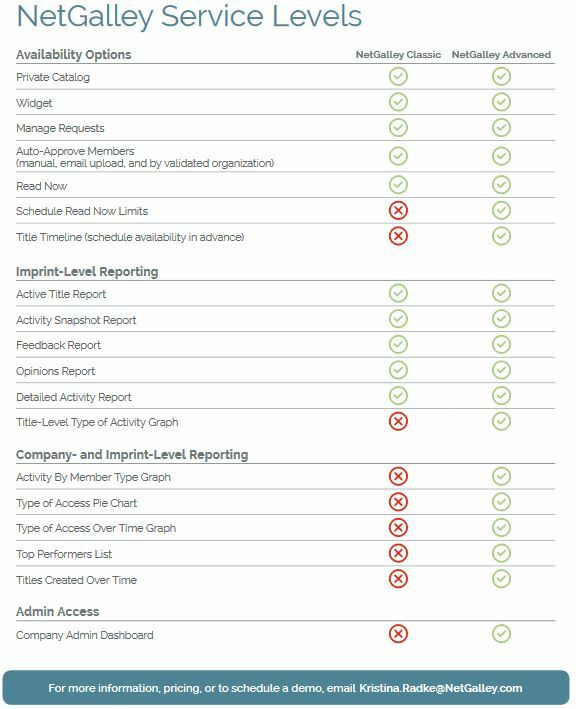 This new, premier level of service is now available as an upgrade*, offering new reports to help publishers track activity within NetGalley, and new tools designed to reduce manual effort and time for staff. 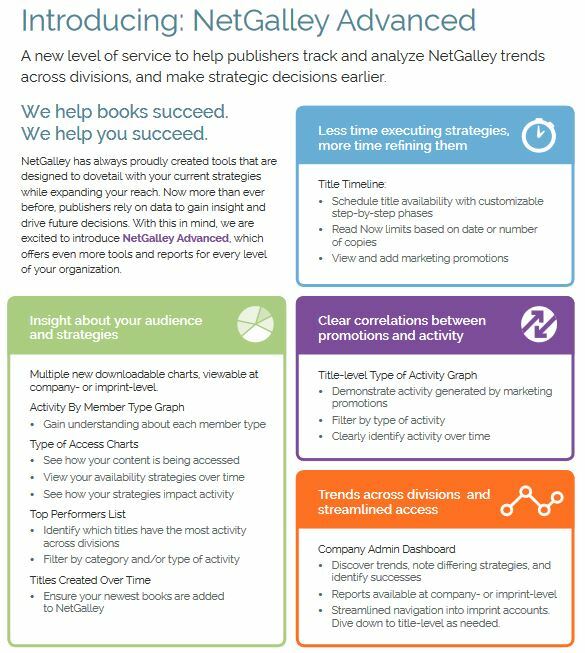 With more insight and flexibility, NetGalley Advanced will help you analyze your data so you can make strategic decisions earlier and anticipate trends before your books go on sale. All of the existing features in NetGalley will still be available, while NetGalley Advanced will continue our ongoing strategy of implementing new features to address publishers’ needs and goals. Take a look at the information below to see how NetGalley Advanced compares to what we’re now calling NetGalley Classic. Join our webinar on January 30, at 1:00pm ET for a demo of the new features and to ask questions. We look forward to continuing to help publishers of all sizes promote a wide variety of titles to early influencers, and continuing to grow and evolve to meet your needs. Read the NetGalley Advanced press release here! *NetGalley Advanced is currently available for publishers in North America, and will be made available to publishers in other territories at a later date.